Oh, and do be sure to click to enlarge and appreciate the metapunning fabulousness of it all. This entry was posted on Monday, July 26th, 2010 at 2:51 pm and is filed under Images and Movies. 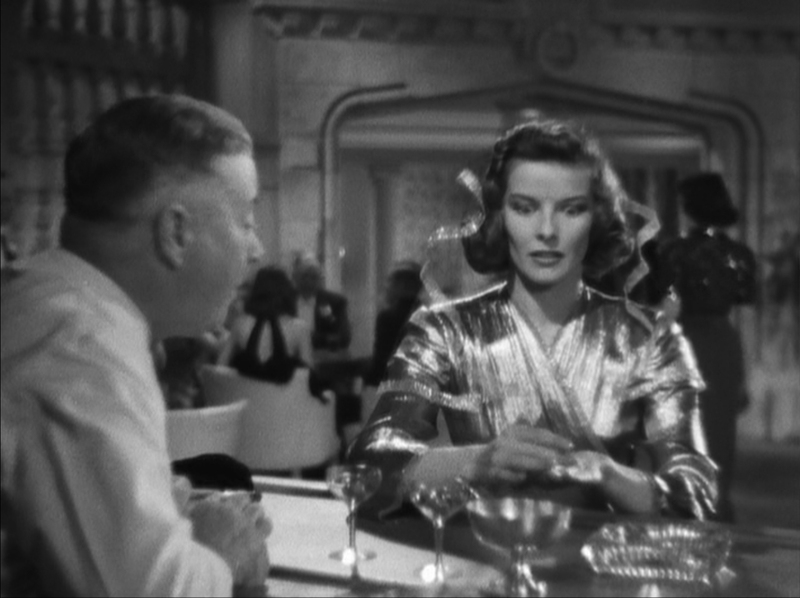 Tagged: Bringing Up Baby, Classic Hollywood, Howard Hawks, I Can't Give You Anything But Love, Katharine Hepburn, Screwball Comedies, Today's Fabulous Image in Cinema. You can feed this entry. You can leave a response, or trackback from your own site. H. Neal Glanville’s second cousin is the godson of Katharine Hepburn. His name is Sam Robards! « Who Doesn’t Love Sally Draper?